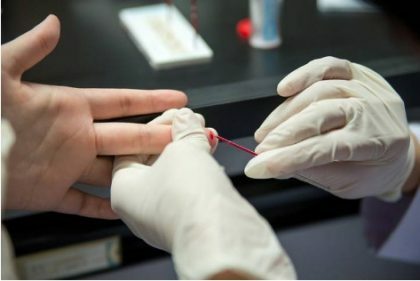 LONDON – The scales have tipped in the fight against AIDS, with more than half of people infected with HIV now getting treatment and AIDS-related deaths almost halving since 2005, the United Nations said on Thursday. In its latest global report on the pandemic, which has killed around 35 million people worldwide since it began in the 1980s, the UNAIDS agency said there were particularly encouraging signs in Africa, a continent ravaged by the disease. Eastern and southern Africa are leading the way, reducing new HIV infections by nearly 30 percent since 2010, the report said. Malawi, Mozambique, Uganda and Zimbabwe have gone further, cutting new HIV infections by 40 percent or more since 2010. And among the most significant impacts of a vast scale-up of HIV testing, treatment and prevention programmes, has been in the reduction of AIDS-related deaths, which have dropped by almost half since 2005. As a result, more people in what had been some of the worst affected countries, are now living longer. In eastern and southern Africa, for example, average life expectancy increased by nearly 10 years from 2006 to 2016. The report warned, however, that not all regions are making progress. In the Middle East and North Africa, and in eastern Europe and central Asia, AIDS-related deaths have risen by 48 percent and 38 percent respectively, it said, mostly due to HIV-positive patients not getting access to treatment. Exceptions within these regions show that “when concerted efforts are made, results happen”, the report said, noting that in Algeria has increased HIV treatment access to 76 percent in 2016 from 24 percent in 2010, Morocco to 48 percent in 2016 from 16 percent in 2010 and Belarus to 45 percent from 29 percent. Globally in 2016, 19.5 million of the 36.7 million people with HIV had access to treatment, and AIDS-related deaths have fell to 1 million from 1.9 million in 2005. Provided that scale-up continues, this puts the world on track to reach the global target of 30 million people on treatment by 2020, UNAIDS said.